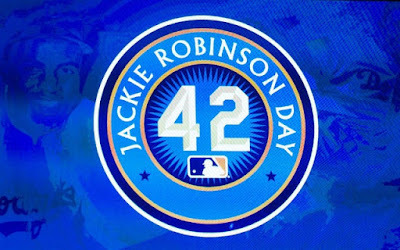 Friday, April 15th, 2016 Major League Baseball, for now the eighth straight year, will be honoring the iconic great American, Jackie Robinson, as every Major League Baseball player in every stadium in the country will be wearing his retired number 42. 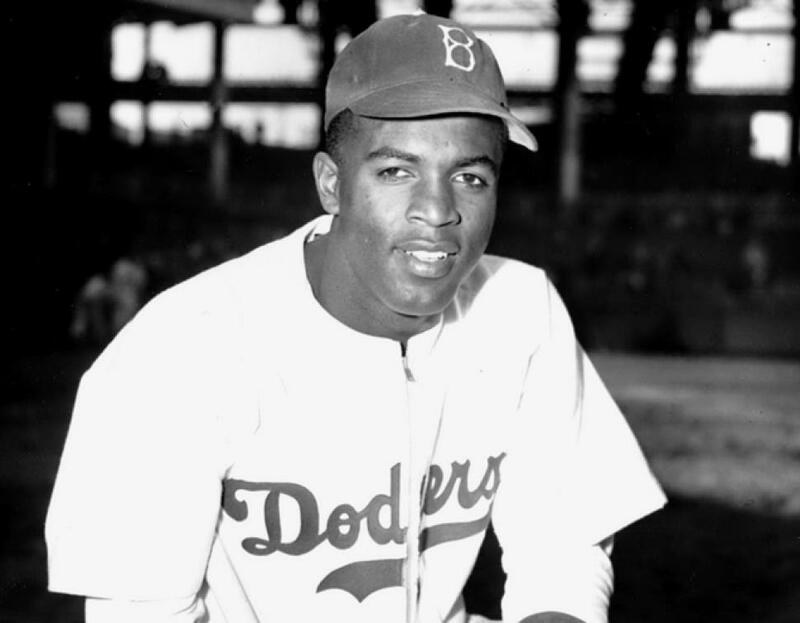 Jackie Robinson is the only player to have his number retired, not just by the team he played for, the Brooklyn Dodgers, but by all of Major League Baseball, to honor his "breaking the color barrier", being the first black man to play in the major leagues. Jackie Robinson's breaking the color barrier in MLB is probably the most important historical event changing the game of baseball forever for the better. Beyond that, this is one of the most positive important historical events for the civil rights movement in our country. From the Tales post of a couple of years ago, "MLB Honoring The Great American Jackie Robinson #42": "Jackie Robinson has to be regarded as one of the top Americans who influenced civil rights in our history, along side great figures like Rosa Parks, not just for being the first black man to play Major League Baseball, but for having to endure unspeakable acts of bigotry against him and his family. He not only endured them, but he faced them down with courage and grace, in overcoming the bigots." Also from that post in 2013: "My wife and I went to see the movie 42 and I can report that this is a must see movie by every American. We thought it was a great moving movie that ended in applause by the entire theater and tears in many eyes [I know there were some in Sheralyn's and my eyes]. 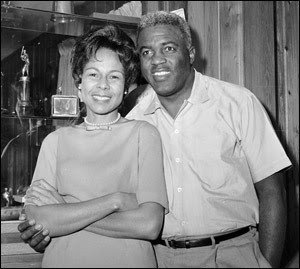 What is great is that Jackie Robinson's wife, the graceful Rachel Robinson is still living and getting to enjoy this celebration of her beloved Jackie." Along with Major League Baseball, let us all honor the great American, Jackie Robinson! Kudos to you, big Mike, for posting this important story! Very nice post honoring one of the bravest, true men in the history of race relations improvement in our country. i'm sorry that i was too young to see him play.